This 24x36 Matted Frame has a Brush Silver Finish to Compliment any Setting! Additional Sizes, Styles, and Colors are Available! Place an Order Today for a 24x36 Matted Frame! Mounting brackets for showcasing in portrait or landscape format. 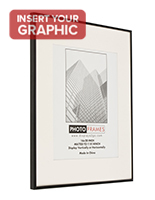 24x36 Matted frame comes with (1) black & (1) white mat for accenting any image. Aluminum construction for affordability and durablity. 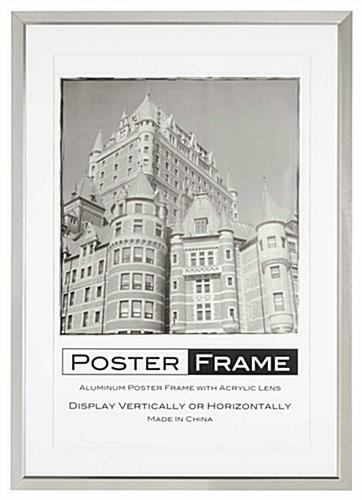 This 24x36 matted frame is brushed silver to coordinate any setting or décor. 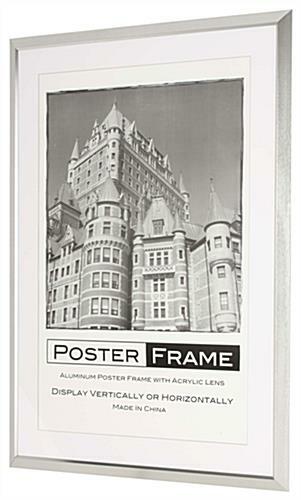 These poster holders are sold in set with (2) mats. Each 24x36 matted frame may be used with either the white or black mat to better accent different images. These displays are for hanging on the wall using the attached mounting hooks. 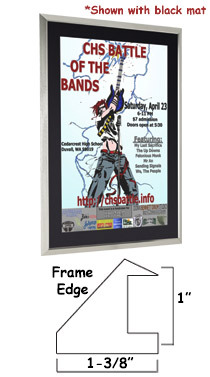 This aluminum 24x36 matted frame can be displayed either vertically or horizontally depending on the sign design. These poster holders are so versatile they are like getting (2) units for the price of (1). 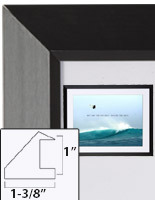 Each print display is a 24x36 matted frame that is easy to set up. To insert a poster simply press down and turn all the retaining clips and remove the MDF (medium density fiberboard) backing, then insert the image of your choice with the desired mat. Replace the backboard and put all the clips back into place and hang the 24x36 matted frame on that wall. These poster holders are very popular in offices for motivational posters as well as posting information to employees. 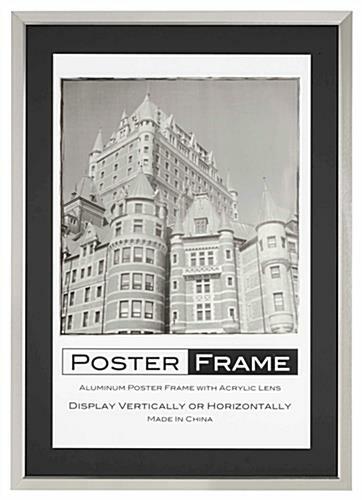 In addition, this 24x36 matted frame is also used in food venues advertising new items or specials. These poster displays are a nice large size for grabbing the attention of consumers even in busy establishments. Each sign holder is a 24x36 matted frame that is made of aluminum for durability and to keep the cost low. 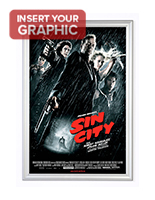 This poster unit has an upscale look, but for a fraction of the money. This advertising display is a 24x36 matted frame that is lightweight. Many businesses choose to purchase these displays in large quantities to use multiple units at one time throughout the business. Customers who choose to buy in bulk also save money off the already low prices. 31.5" x 43.5" x 0.75"